For nursing students, caring for patients who are at the end of their life can be emotionally challenging. The two students' perceptions were reinforced by a survey they carried out that attracted responses from students in more than 50 organisations. This revealed that only a small percentage felt they were introduced to end of life care at the best time for them. 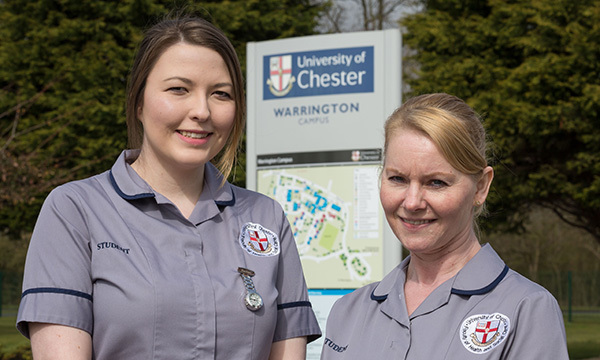 To plug the training gap, the pair have worked together to create an educational resource aimed at helping prepare first-year nursing students. The package provides tools to boost resilience so that students can support the patient, and their loved ones. Covering issues such as discussing priorities and preferences for care, and where to find support, the resource includes a presentation and card game. Widely supported by both students and lecturers, it was incorporated into the university’s pre-registration nursing curriculum in December 2017, with a session lasting one to two hours. Both students are also student quality ambassadors – a voluntary role for those studying a healthcare-related qualification in north west England who are keen to raise standards of care while developing their leadership skills. Now they are working towards getting the resource published by the university, so that others can use it too. In addition, and encouraged by fellow student quality ambassadors, they entered their work for the national NHS Academy of Fabulous Stuff awards, which are designed to recognise people and teams who are bringing innovation and best practice to the NHS. The duo was presented with the Hartley Larkin award in November 2018. ‘We were really shocked to win. It was very exciting,’ says Ms Soutter. Both agree that what made the award even more special was that it was chosen by the public from a shortlist. ‘It’s nice to hear our work wasn’t just recognised by academics and professionals but by the general public too,’ adds Ms Lambe.